Morecambe Bay has been described as 'a great inner sea', moody and treacherous. An ebb tide reveals a tawny desert 120 square miles in extent. Crossing the Sands - and the estuaries of Keer and Kent - was once part of a daring west coast route linking Lancashire with its northern territory of Furness. A milestone on the Cartmel peninsula gives the distance to Lancaster 'over sands' as 15 miles, less than half that of the land route via Kendal. The safe passage of travellers was ensured by the appointment of guides. At the flow, fishermen from Morecambe used trawlers known as 'nobbies' and were part of a lively coastal trade, with boats calling at various jetties. Pleasure craft would tie up to the pier at Grange-over-Sands, where there is now a prairie of grass. At low tide the horse-and-cart fishermen of Flookburgh and adjacent villages would take to the sands, seeking shrimp. Now this is done by tractors and trailers. In his inimitable and entertaining style, the author follows the shoreline, noting features such as the rock graves of Heysham and bird-haunted Walney Island. 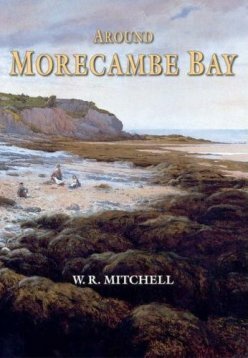 He traces the evolution of Morecambe and Grange-over-Sands, the survival of Cartmel Priory following the Dissolution and the story of Conishead Priory, a grand house that is now a Buddhist centre. Each area has its unique points of interest: Ulverston has a lighthouse; at Dalton, clog irons and red earth hint at an industrial past; Furness Abbey was one of the richest in the north country; Barrow rose from a hamlet to become the world's biggest centre for iron and steel in Victorian times. Throughout this fascinating and well-illustrated book, which will interest visitors and residents alike, the bay is kept in view, sparkling with the flow and teeming with life at the ebb.